It’s a great time to quickly sell a house as-is in Lincoln, NE. A lot of people are looking to upgrade and have time off of work to visit several open houses. That being said, it can be time-consuming for owners to organize and manage the presentation and showcase their property to potential buyers. If you want to know how to quickly sell a house as-in in Lincoln, NE, then this article will introduce you to the options you have. Working with a direct buyer based in Lincoln, NE is one way to go about selling your house, but there are other options as well. The most important thing is to weigh the pros and cons of each alternative and choose the one that best works for you. If you’re set on selling your home in as-is condition, it’s important understanding of the process as well as the hurdles you may face. Keep in mind that just because you are trying to sell your Lincoln, NE home in as-is condition doesn’t mean buyers will not attempt to make requests for upgrades or repairs. When you want to quickly sell a house as-in in Lincoln, NE, you will need to get it in front of lots of buyers. To do this, you may need professional help and the contacts of a realtor. A good realtor in Lincoln, NE can guarantee your home receives a large online presence through Multiple Listing Service (MLS). These will generate high visibility of the property, exposing it to thousands of potential buyers. You will also benefit from a targeted strategy for marketing your house to their extensive network of buyers and real estate agents that the realtor has. You can see how working with a great realtor helps you get the best price on your home. However, keep in mind that when you sell your house with a realtor, this will not be the fastest experience possible. There are several stages to this process and some take weeks to complete. Ideally, you can expect your house in Lincoln, NE to be sold within several months if there are no issues with ownership, deed transfers, appraisal and legal assistance. However, it’s worth pointing out that a realtor may not always agree to sell a house in Lincoln, NE as-is. Depending on the property’s condition, he or she may make recommendations for improvements before putting it in front of buyers. These may be small cosmetic upgrades, such as a new coat of paint, replacing the kitchen cabinets or power-washing the driveway. There are other times that more substantial repairs and upgrades may be needed. Either way, the realtor will have a very good understanding of the local market and following their advice will speed up the sale of your house in Lincoln, NE. You can try selling your house in Lincoln, NE as-is yourself. To do so, you should make it clear in the description that it’s for sale “as is” when you’re listing it. 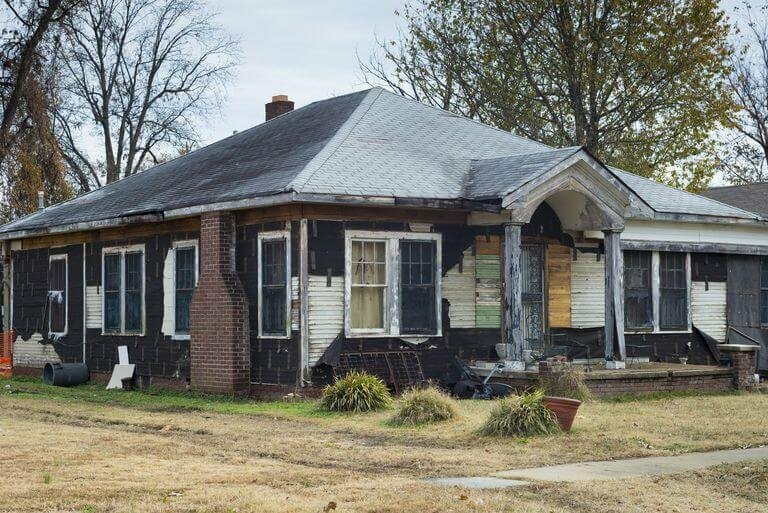 This will weed out buyers who don’t want to bother with a fixer-upper from wasting your time. Naturally, the price should reflect the fact that buyers will have to invest money and time bringing the property up to snuff. For instance, if your kitchen is embarrassingly old and outdated, you should knock about $30,000 off the usual asking price for a home in your neighborhood to cover for the purchase and installation of a new one. When you’re trying to quickly sell a house “as is” in Lincoln, NE, you need to disclose does all known defects once you have an offer. In fact, you are legally required to do so. If you inherited a house, there will probably be defects you are not aware of, but because it is an inherited property – you could be exempt from providing a property disclosure. You can only be held liable by the buyer if you have intentionally withheld known information about issues. Required disclosures also vary by state, so be sure to check what you are required to disclose in Lincoln, NE. When you are selling your house in Lincoln, NE “as is” the buyer may want to do some due diligence and conduct a home inspection. Keep in mind that if the inspection uncovers a major structural defect, the buyer can walk away from the deal with their deposit. If a serious structural flaw is uncovered, then you are legally required to share that information with future buyers. Examples of these include a major known plumbing or electrical issue, radon levels higher than the acceptable EPA limit, crack in the foundation or mold in the home. 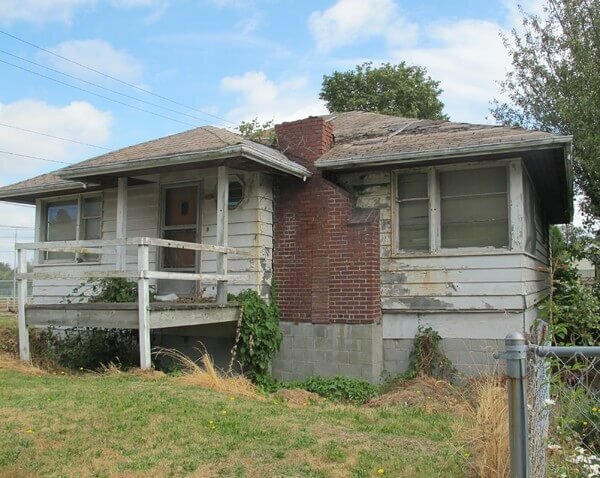 Even when you’ve specified that you’re selling your Lincoln, NE house ‘as-is’, the buyer may still ask you for repairs or compensation after an inspection. Whether you agree may depend on how quickly you want to unload this home. If you don’t want to deal with any upgrades and are looking how to quickly sell a house as-is in Lincoln, NE, then working with a direct home buyer may be the best choice. A company like Element Homebuyers is the fastest way to unload your property regardless of the state that it is in. This is the ideal option for sellers who have inherited an old house or for those who simply lack the time and resources to make their property ‘buyer-ready’. Working with a direct home buyer remains the best way to quickly sell your house in Lincoln, NE. It doesn’t matter if you property needs minor touch ups, or major remodeling – companies like Element Homebuyers work with qualified contractors that can handle even the most difficult of situations. As a seller, you needn’t worry about any of the upgrades or remodeling because they will take the property in the exact condition it is in. A lot of people worry that if their home in Lincoln, NE is not ‘attractive’, it will not warrant the attention of buyers. While this may be true if you’re trying to sell it ‘as-is’ yourself or through a realtor, direct home buying companies operate differently. It all comes down to locating properties in any state across Lincoln, NE and taking them off the hands of their owners for cash – it’s a fast, clean and pain-free transaction for everyone involved. Are you thinking of selling your Lincoln, NE home in as-is condition? If so, make sure you work with a top Lincoln, NE direct buyer with experience in selling homes in as-is condition. If you have not selected a Lincoln, NE direct buyer yet to sell your home in as-is condition, contact Element Homebuyers, as we’d love to explain how we’ve helped many Lincoln, NE homeowners sell their homes in as-is condition in the past.